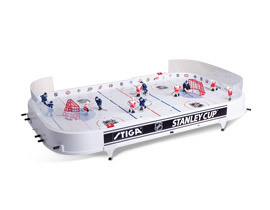 We have a wide variety of Stiga Snowracers to choose from. Stiga Classic Snowracer, Stiga Ultimate Pro Snowracer, Stiga GT King Size Snowracer and finally the Stiga SX Pro Snowracer. The Stiga Snowracers are all made in Lithuania, Europe. 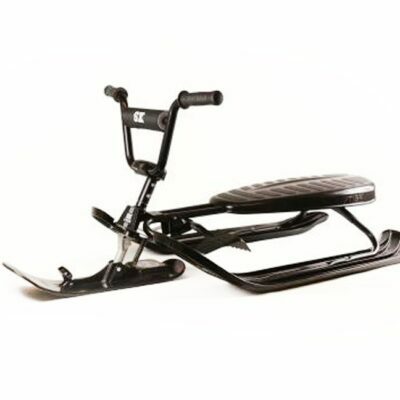 The Stiga Classic Snowracer has a robust steel frame which is available in yellow or black. 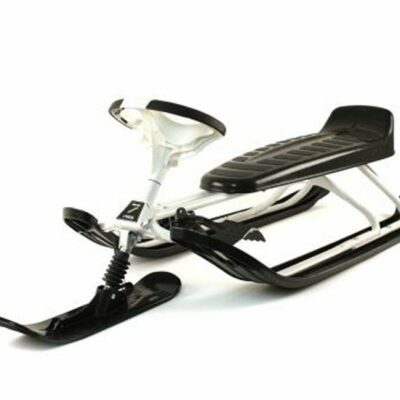 The Stiga Classic Snowracer PRO version is available with an automatic winder which makes it easier to transport up hill. 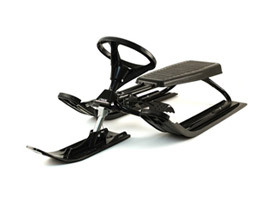 The Stiga Classic Snowracer has a steering spring. 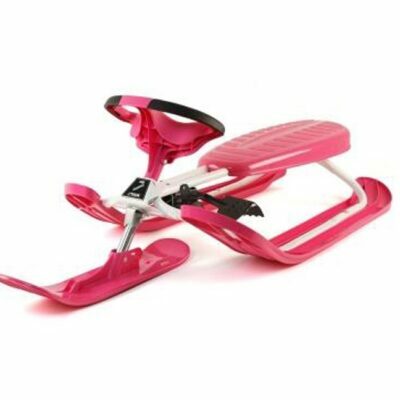 The Stiga Ultimate Pro Snowracer is available in Red and Pink. 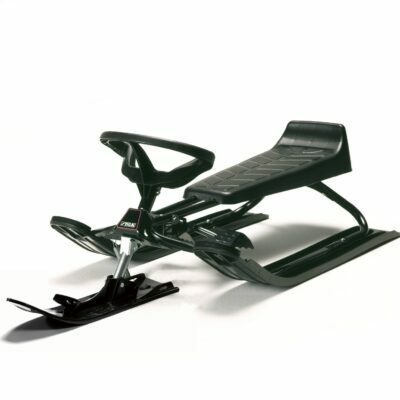 The Stiga Ultimate Snowracer has a steel frame as well as a curve ski system. 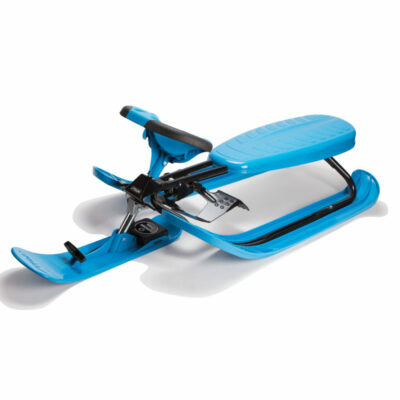 The Stiga Ultimate Pro Snowracer has an automatic winder which was designed to transport the Stiga Snowracer up hills easier. The Stiga Ultimate Pro Snowracer has twin tip skis and a carving shaped front ski for improved steering. 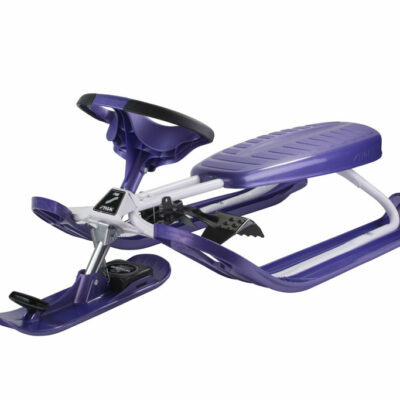 The Stiga King Size GT Snowracer has a bigger seat and an extra-large frame which allows an adult to join their child while riding down small hills. 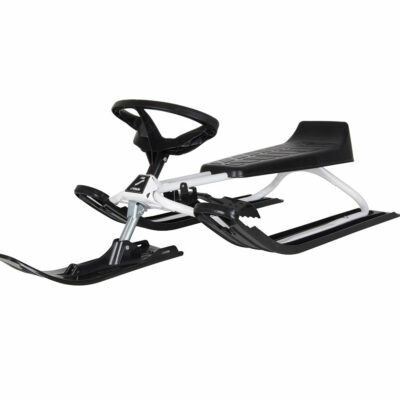 The Stiga King Size GT Snowracer has a white strong frame. The Stiga King Size GT Snowracer has a shock absorber. 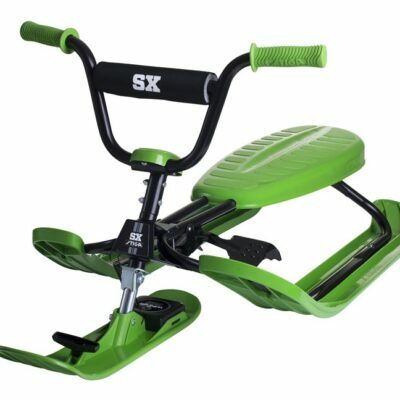 The Stiga SX Pro Snowracer is available in both black and green. The Stiga SX Pro Snowracer takes Snow racing to another level with its steering maneuverability. The Stiga SX Pro Snowracer handle bar includes a foam handle bar pad for the rider’s safety. 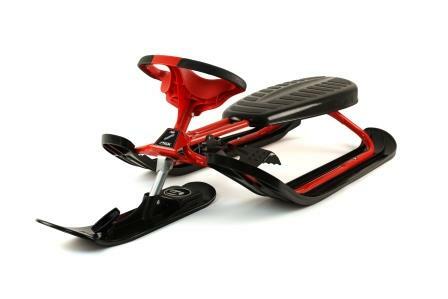 The Stiga SX Pro Snowracer also comes with an automatic winder which makes it easier to bring up hill. Please remember to be safe when riding your Stiga Snowracer and wear a helmet.